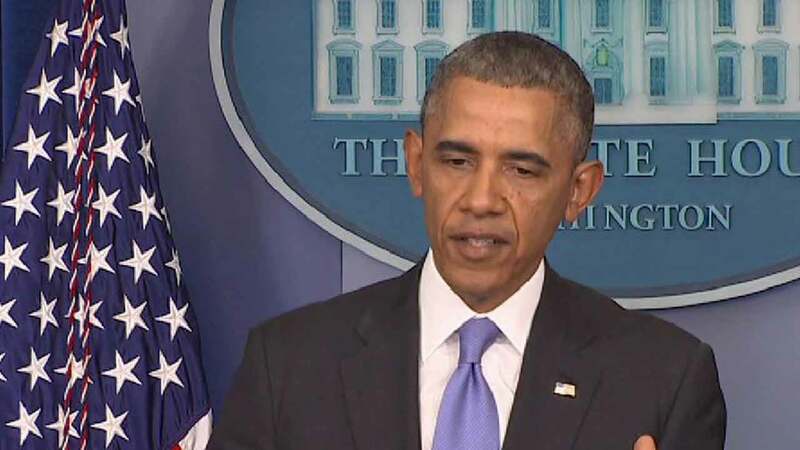 A spokesman for Barack Obama says the former president "fundamentally disagrees" with discrimination that targets people based on their religion. The statement alluded to but did not specifically mention President Donald Trump's temporary ban on refugees from several Muslim-majority countries. The White House says the ban isn't a Muslim ban because dozens of Muslim-majority countries aren't affected. Obama spokesman Kevin Lewis says Obama is "heartened" by the amount of engagement being seen across the country. He's referring to protests against Trump's order on immigration and refugees. Lewis says "American values are at stake." He's praising citizens who are exercising constitutional rights to assemble and "have their voices heard." Obama has not weighed in on a political issue since leaving office on Jan. 20. He has said he plans to give Trump room to govern, but would speak out if Trump violates basic U.S. values.